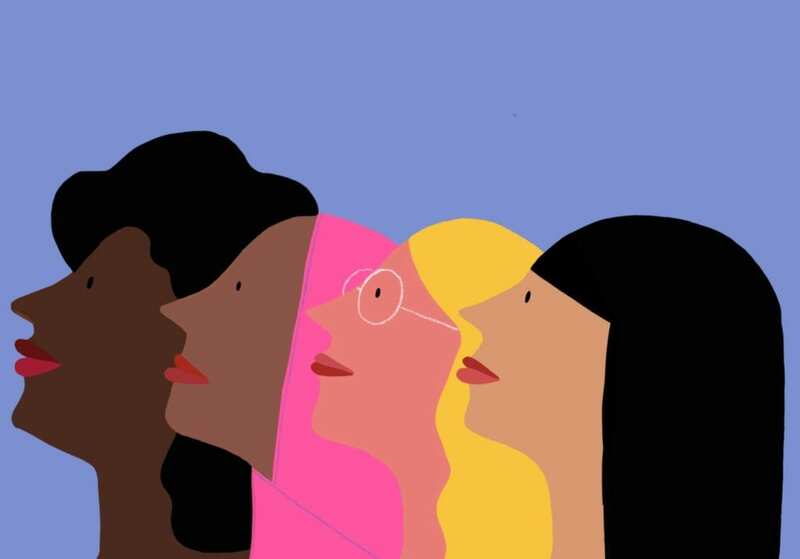 A society where policy research addresses the economic, social, cultural and political well-being of Asian, Black, Hispanic, Native American and Multiracial women. 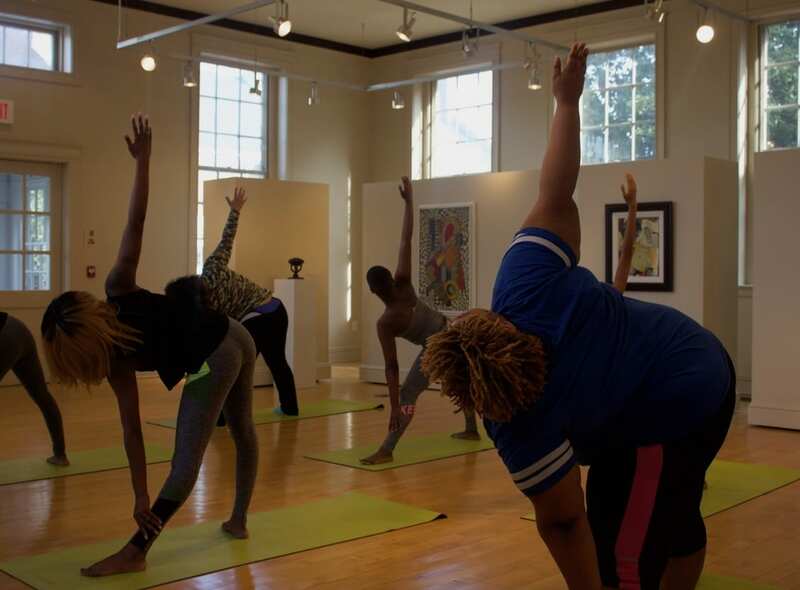 WISER believes the well-being of Asian, Black, Hispanic, and Native American and Multiracial women is vital for social and economic progress. 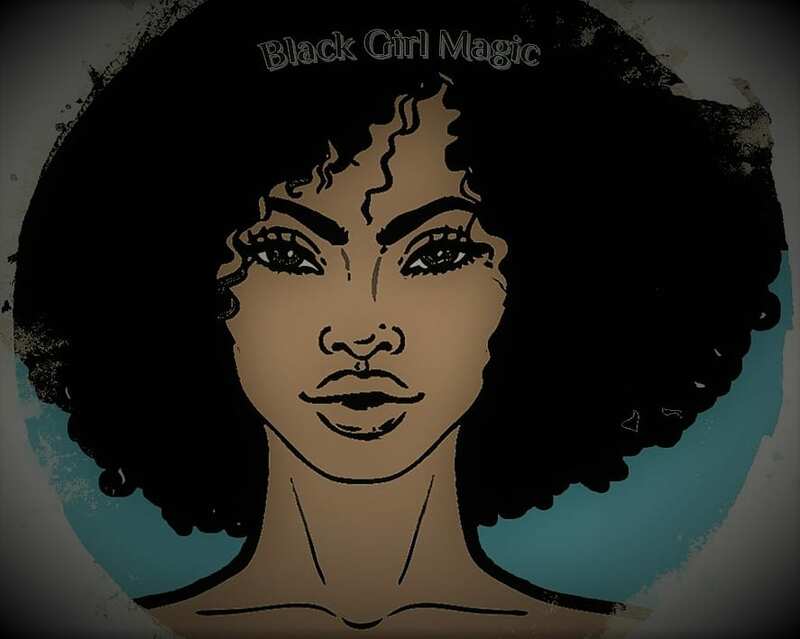 By Rhonda Vonshay Sharpe There was a time when hearing the phrase, “Black Girl Magic” made me beam with pride. Founded on International Woman’s Day 2016, the Women’s Institute for Science, Equity and Race (WISER) is a nonprofit, nonpartisan 501(c)3 research institute. 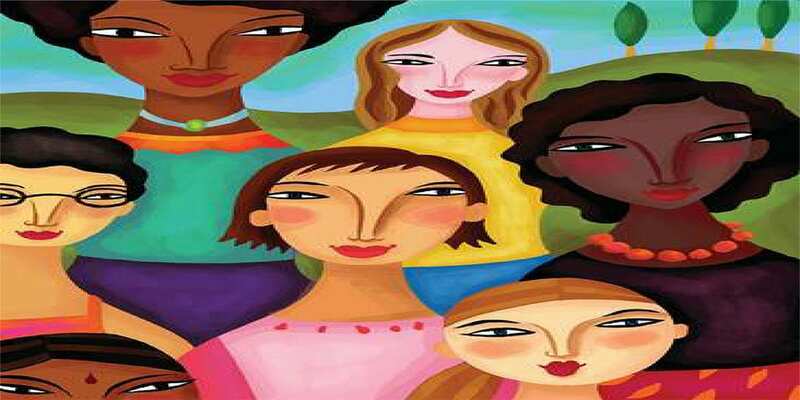 WISER’s mission is to expand women-focused policy research to include the social, economic, cultural and political well-being of Asian, Black, Hispanic, Native American and Multiracial women. 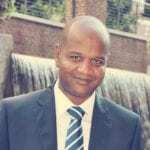 The WISER leadership team consists of professionals with expertise in economics, finance, journalism, law and public policy. 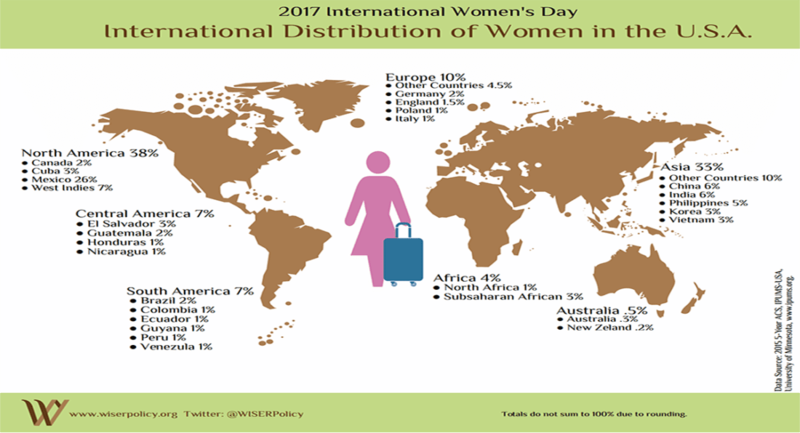 WISER’s leadership is committed to creating a society where the needs of women of color are included in the design and implementation of public policy. In 2018, she was named 1 of 25 Black Scholars You Should Know by The Best Schools. Rhonda’s research focuses on three areas: gender and racial inequality; the diversity of STEM; and the demography of higher education. Her recent publications include: “Who Attends For-Profit Institutions? The Enrollment Landscape” (with William Darity, Jr. and Steve Stokes) in For-Profit Universities: The Shifting Landscape of Marketized Higher Education : “Mentoring Programs” (with Nicole Lewis) in People of Color in the United States: Contemporary Issues in Education, Work, Communities, Health and Immigration; “Poverty in Global Perspective” (with Kendal Swanson) in The Wiley-Blackwell Encyclopedia of Gender and Sexuality Studies; and “HBCUs: Creating a Scientific Workforce Outta 15 Cents” in Setting a New Agenda for Student Engagement and Retention in Historically Black Colleges and Universities. Other publications include a co-edited volume Black Female Undergraduates on Campus: Successes and Challenges (with Crystal Chambers) (Diversity in Higher Education series); “What Type of Institutions are Successful at Replicating the Diversity of the Full-Time Student Population in the Pool of Bachelor’s Degrees Awarded for STEM-Disciplines” in Beyond Stock and Stories of Folk Tales: African Americans and the Pipeline to the Professoriate and Evidence Based Examination of STEM Fields (Diversity in Higher Education series); and “America’s Future Demands a Diverse and Competitive STEM Workforce” in Jobs Rebuild America: Putting Urban America Back to Work. She has served on the faculty at Barnard College, Bennett College, Bucknell University, Columbia University, Duke University, and the University of Vermont. She is the co-founder (with Sandy Darity) of the Diversity Initiative for Tenure in Economics (DITE) for which she served as the Associate Director from 2008 to 2014. She was the 2008-09 Institute of Higher Education Law & Governance Fellow at the University of Houston Law Center. She is the co-recipient of the 2004 Rhonda Williams Prize from the International Association for Feminist Economics. She was a Carolina Minority Postdoctoral Fellow in the economics department at UNC-Chapel Hill. She completed her undergraduate studies in Mathematics at North Carolina Wesleyan College. She hold master’s degrees from Clark Atlanta University (Applied Mathematics), Stanford University (Operations Research) and Claremont Graduate University (Economics). She completed her doctorate in Economics/Mathematics at Claremont Graduate University. Rebecca Dixon is a Deputy Program Director at the National Employment Law Project (NELP). At NELP, she provides coordination and oversight of programmatic activities deliverables and benchmarks for NELP’s Access and Opportunity program. Rebecca manages the unemployment insurance state technical assistance project, which advises and supports more than 30 state partners through research, legislative drafting, advocacy and data analysis. In 2012, Rebecca was a New York State Executive Fellow in the Office of Governor and worked on Labor and Civil Rights policy. Rebecca has earned a Bachelor of Arts in English and a Master of Arts in English from Duke University. She also holds a Juris Doctor from Duke University School of Law. Demetria Howard-Watkins is a licensed attorney based in Dallas, Texas. In 2015, she established Howard Watkins, PLLC, a firm dedicated to family law and advocacy for women and children. Prior experience with government agencies and community based non-profit organizations provides her with a multifaceted skill set. Demetria graduated from the University of Virginia with a bachelor’s degree in American Government. She earned an M.P.A. and Mediation Certificate from Texas State University where she wrote a well-regarded thesis that explored pragmatic problem solving methods between local government agencies and community leaders to improve quality of life for minority citizens. Demetria earned her J.D. from North Carolina Central University School of Law where she chaired the Moot Court Board, coordinated programs for the Women’s Law Caucus and advocated for troubled youth in the Juvenile Law Clinic. Demetria is a member of the State Bar College of Texas. She is a member of the Family Law Sections of the State Bar of Texas and Dallas Bar Association, where she also serves on the Public Forum Committee. Demetria serves the community by providing pro bono assistance through the Dallas Volunteer Attorney Program where she also participates in the Children’s Justice Project. Demetria is a member of Delta Sigma Theta Sorority, Inc. She resides in Irving, Texas with her son. Tamara Jeffries has more than two decades as a writer and editor for national magazines, books and other publications. 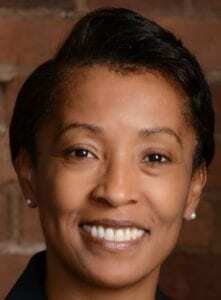 Most notably, she served as Executive Editor of Essence, the nation’s largest Black women’s magazine, from 2000-2004. She was also Editor-in-Chief of Health Quest: The Publication of Black Wellness and a Contributing Editor for Health magazine. She is co-author of Living Well with Diabetes with Constance Brown-Riggs and Dr. Brenda Wade’s Power Choices: Signposts on Your Journey to Wholeness, Love, Joy and Peace. She contributed to Mother Love’s health memoir Half the Mother, Twice the Love and to two books by sexual health expert Dr. Hilda Hutcherson. She has offered consulting services to individual authors as well as to publishing companies. In 2009, she was awarded a Rosalyn Carter Fellowship for Mental Health Journalism. In 2012, she was an Association of Health Care Journalists/National Library of Medicine Fellow. She completed the Narrative Medicine workshop at Columbia University College of Physicians and Surgeons. in 2011. 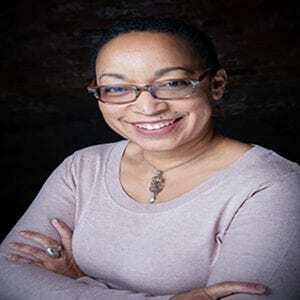 She has contributed to several health-related books, and has written articles for publications including Redbook, Parenting, Heart & Soul, Real Health, The International Review of African American Art, The Review of Black Political Economy and others. 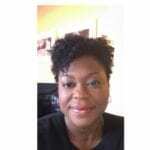 She has served as a writing coach and consultant for health professionals. In 2014, she founded the Interdisciplinary Narrative Initiative in an effort to encourage the use of multidisciplinary storytelling techniques to enhance the communication of scholarship and research. The goal is to foster cross- disciplinary communication—particularly to encourage more collaboration between sciences and humanities—with the intention of reaching broader publics. 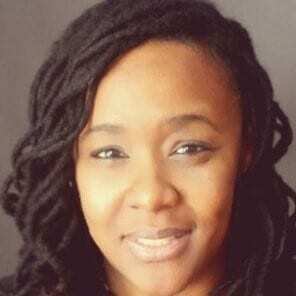 She is currently Associate Professor of Journalism and Media Studies at Bennett College in Greensboro, North Carolina. She has a degree in Mass Media Arts from Hampton University and an MFA in Creative Nonfiction Writing from Goucher College. Rhonda Sharpe, along with several other economists, was interviewed by PBS correspondent Paul Solman about Trumps's first year as President. Rhonda Sharpe was interviewed by, NewsHour economics correspondent Paul Solman. They talked about Trump and the intersection of race, conservatism and economics. Rhonda Sharpe was interviewed by, Jim Tankersley of the New York TImes, about the gender bias in economics and the impact on women of color. Most foreign-born women in the US are 18-24, have an HS diploma, work in a service occupation and are from a country in North America - Mexico 25%. 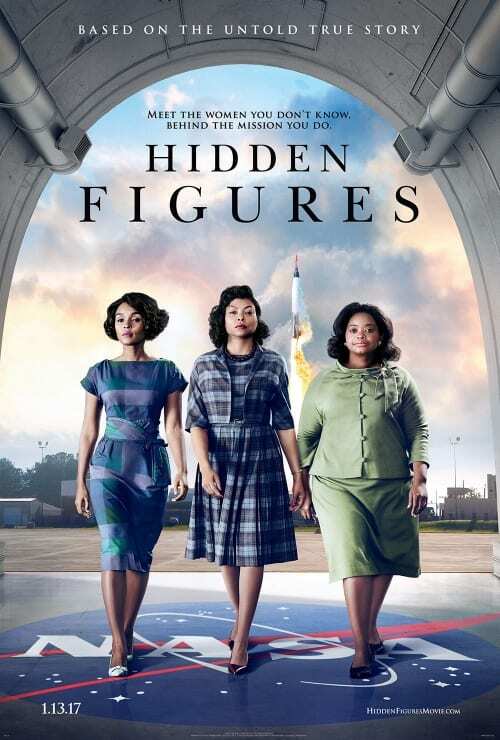 Women of color were 13% of all women in 1960. 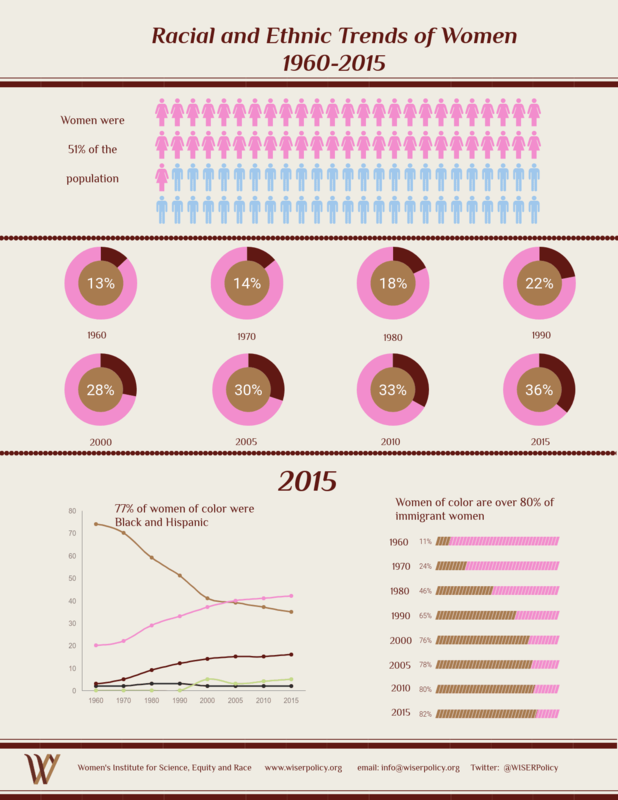 By 2015, women of color were 36% of all women in the U.S.